A classic cookie recipe that’s been handed down from my Grandma Anna. Made simply with few ingredients for the most delicious crescent shaped cookie that you’re sure to love. Enjoy every cinnamon bite! 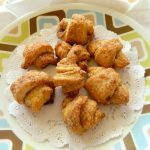 This is my version of my Grandma Anna’s classic rugelach cookie. Rugelach (pronounced rug-a-la) is a cookie that is served for many Jewish holidays, the most popular holiday being Chanukah or Hanukkah. The shape of a rugelach could vary but it’s mainly in a crescent shape. Most bakeries have these cookies in a few varieties. 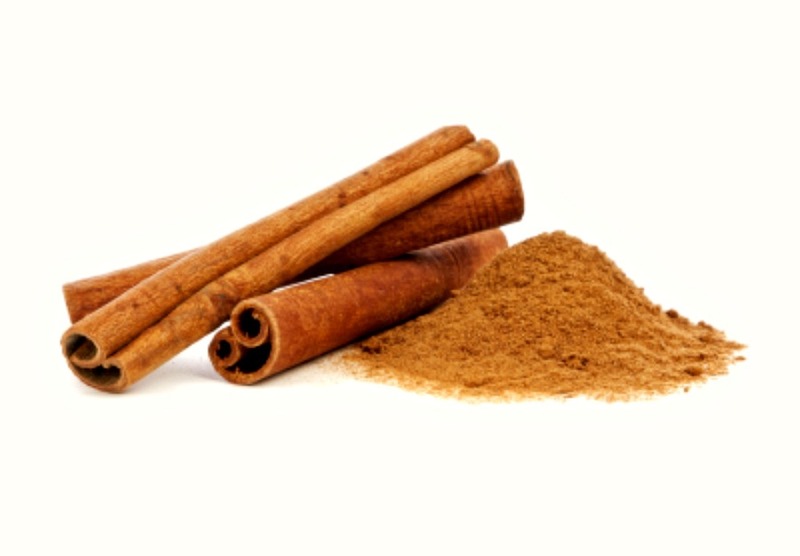 The most popular being cinnamon like this recipe and then chocolate is also very popular. My kids love the cinnamon so, that’s why I ventured out with this recipe which happens to be so simple and easy to prepare. I’m not sure my grandma Anna’s recipe was this simple. Since my grandma was an amazing cook and baker, I was so happy when I got the thumbs up from my whole family especially my mom Ruthie. Grandma would be so proud and happy. Now, I passed this recipe down to my daughter Tori. She’s a fantastic cook and baker. Bake a batch soon, they are sure to be a big hit. By the way, they make great holiday gifts. In a medium bowl, mix together the sugar and cinnamon and set aside. When you are ready to fill the dough (not before), melt the butter in a small bowl. In a large mixing bowl mix the softened cream cheese with the butter at low to medium speed with an electric mixer until combined and creamy. This should take about 2 minutes or so. Add the sugar and salt, mix for another minute. Add the vanilla extract and mix until combined. Gradually add the flour until a very soft dough forms. This will take about 2 minutes. Take the dough out of the fridge and divide into 4 balls. For each circle, dip a pastry brush with the melted butter and lightly brush over the circles. Sprinkle the cinnamon sugar mixture over the melted butter. Using a pizza cutter or knife cut each circle into 16 pie pieces. Roll up each piece starting from the wide end. You can turn the ends in if you want them to be more crescent shaped. Repeat above step with every circle. 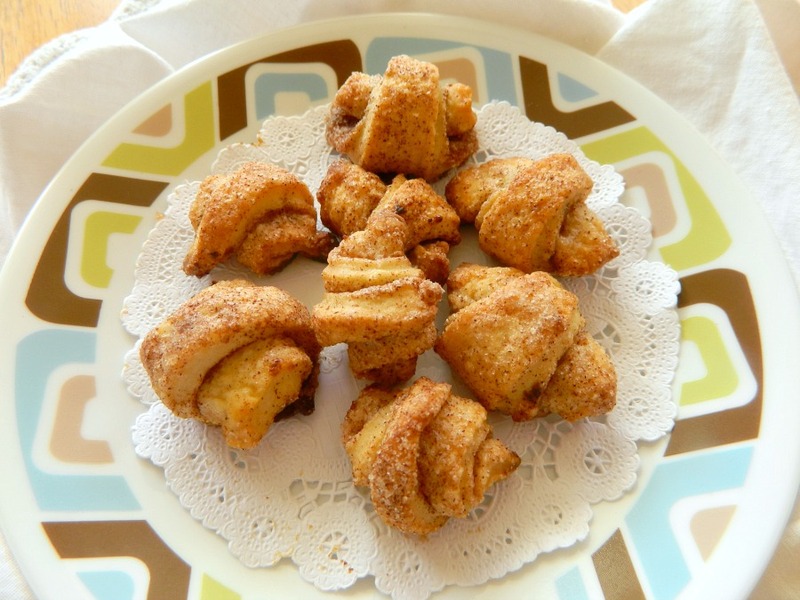 You will have extra cinnamon sugar mixture that has fallen out of the rolled cookies. You can take that and sprinkle over each cookie if you’d like. Bake for 25-30 minutes until golden brown (but not too dark). Place on cooling racks for a few minutes and then remove the parchment paper from the cookie sheet and lay that on the cooling rack. ENJOY this extra special cookie! Bake for 25-30 minutes until golden brown (but not too dark). Place on cooling racks for a few minutes and then remove the parchment paper from the cookie sheet and lay that on the cooling rack. Enjoy this special cookie!